Suzuki Motorcycle India Ltd. came back with its latest Suzuki Intruder M1800R BOSS Edition in India last month. It came with a price tag of Rs. 16,45,000 in ex-showroom, Delhi. This special edition model costs Rs. 50,000 more compared to the standard Intruder version. 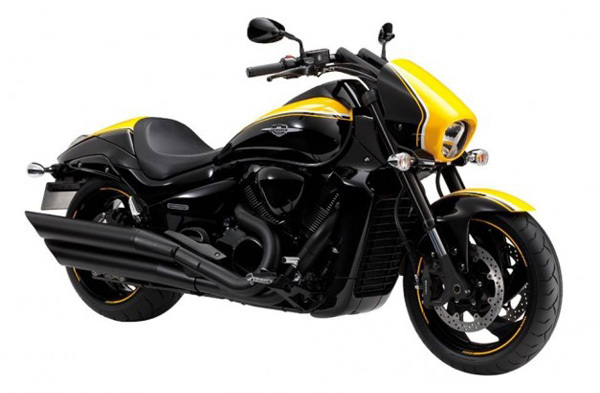 Intruder M1800R is well known in the market for its sporty looks and graphics. This time it came in two-tone yellow and black paint. The look is awesome and stylish. Suzuki BOSS is a cosmetically enhanced edition of Intruder with a beautifully designed sporty appeal of the motorcycle. Some of its awesome features include Sporty Two Tone yellow and black color scheme, Black painted engine, alloy wheels, exhaust, New stylish Yellow color rim strips, Front and rear disc brakes, Alloy Wheels, Maintenance free battery, Analogue Speedo meter and digital tachometer and so on. B.O.S.S. stands for “Blacked-Out-Special-Suzuki”. This edition from Suzuki is 2480.00 mm x 875.00 mm x 1130.00 mm in Dimension. Other features include 1710.00 mm Wheelbase, 347.00 kg Weight, and 19.50 liters Fuel tank and so on. The Suzuki Intruder M1800R BOSS Edition is priced at Rs. 16,45,000 (Ex-Showroom, Delhi) in India.